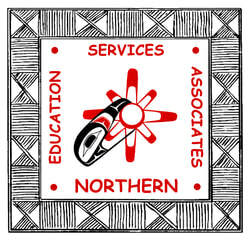 ​Northern Education Services Associates (NESA) is a consortium of international education and community development experts with more than 100 years of combined experience. We work with organizations and institutions on solving some of the most pressing issues of our time – refugee assistance, climate change action, diversity awareness, global education, rural development, gender equity, adult literacy, and indigenous people's self determination. NESA has a proven track record of productive, effective collaboration with government, post-secondary institutions and NGOs in Canada, the U.S. and in more than 30 developing countries around the world. NESA prides itself in providing cost-effective services in all areas of project development, planning and design, management and implementation, training and assessment. At the heart of NESA’s success is a "bottom up" development philosophy and a commitment to consulting with and involving stakeholders at every phase of a project. NESA knows the realities, challenges and rewards of international, community and organizational development through extensive field experience and research into current best practices.